We’ve know about it for awhile, but as I was driving home from softball practice last night it was impossible to miss the signs. 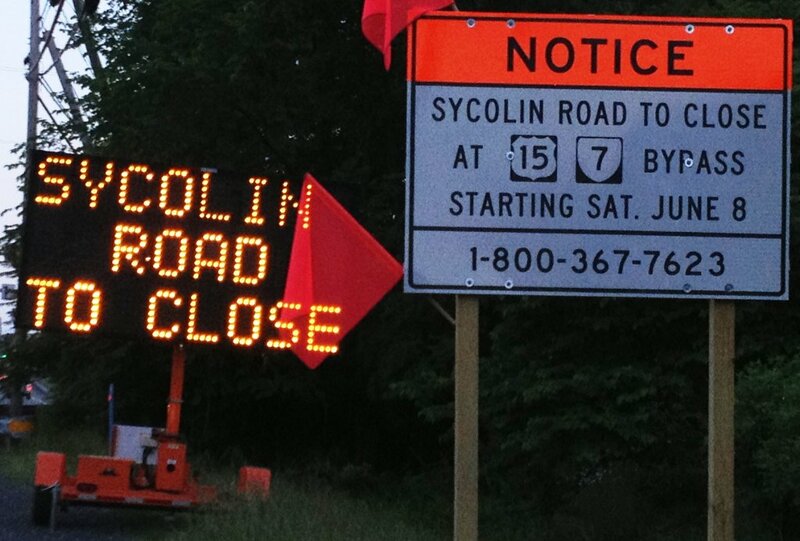 One of Leesburg‘s biggest rush hour traffic jams starts getting relief this Saturday, as the light at Sycolin Road and Route 7 is being replaced by a flyover. 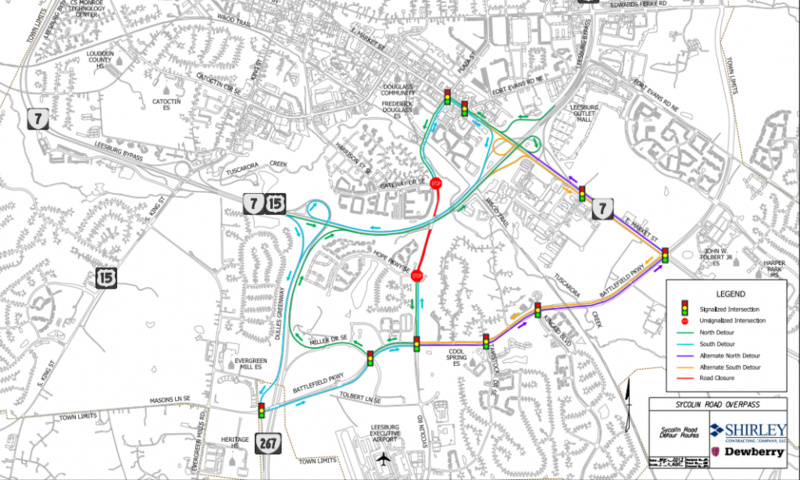 The VA Department of Transportation Sycolin Road project web site has the full details, but the highlight is it will be mid August 2014 before the overpass opens. For those of us who have wasted hours of our lives waiting on the westbound Route 7 flyover, this traffic light can’t be gone soon enough.